We’ve been delighted in recent months to work with vinspired, as they designed and launched a volunteering programme for young people which draws on our own food poverty campaigns. 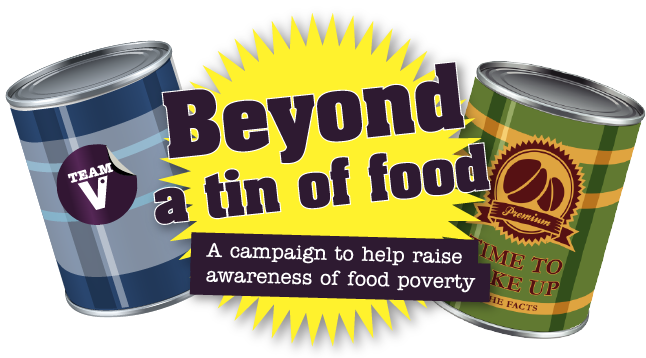 ‘Beyond a tin of food’ will see volunteers not only supporting local food banks, but finding creative ways to raise awareness of the problem of food poverty, and to call for action to tackle the root causes. Their volunteer leaders are currently completing a ‘Hunger Challenge’ – living on food parcels like the ones supplied by food banks, and blogging or vlogging about the experience. Click the links below to see some of their reflections – and if you can, why not follow their blogs and support their activities? 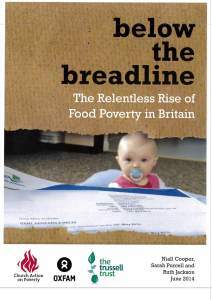 This entry was posted in Fair Prices, Food Fuel Finance, Food poverty, Partners and allies by Church Action on Poverty. Bookmark the permalink.